Peak Chiropractic Health is the chiropractic solution you have been looking for. Chiropractic care is something that is often searched for when neck pain, back pain or even a pinched nerve occurs. Seeking chiropractic care to resolve issues of pain or discomfort is always a great idea, and a great solution. Did you know that this type of natural care can also do a lot of good in preventing aches, pains and even injuries? Our Ogden Chiropractor specializes in many different techniques in the art of chiropractics. Helping you understand how to fully care for your body and helping you to improve your quality of life is our main goal. We are close by if you are looking for a Chiropractor Near Me in Ogden we are close to all of Ogden, Roy and Layton in our convenient location in South Ogden. Convenient, friendly, professional chiropractic service to get you feeling yourself again. Do not forget to fill out the form to get a special offer for your first time coming in to see us here at Peak Chiropractic. There are so many different areas chiropractors can help with and we know you will not need to look any further for Chiropractor Ogden. Along with basic Chiropractic care we specialize in specific chiropractic needs for every body at any age, health solutions for a healthy active life and much more. If you have any question about if chiropractic can help resolve your pain or discomfort please fill out the form or call us and Dr. Griffin will do a full consultation, examination, x-ray and adjustment for only $20. No insurance needed for the price mentioned. We do take insurance but we also have a great no insurance option for those of you that do not have insurance or chiropractic is not covered in your policy. ​If you have any question about if chiropractic can help resolve your pain or discomfort please fill out the form or call us and Dr. Griffin will do a full consultation, examination, x-ray and adjustment for only $20. No insurance needed for the price mentioned. We do take insurance but we also have a great no insurance option for those of you that do not have insurance or chiropractic is not covered in your policy. ​Whiplash is more than just neck pain, headaches and a tight neck. Whiplash is a specific injury that happens when you head and you neck a quickly forced backwards and then forwards almost immediately. This whip of motion causes stress to the bones and muscles in the neck. The most likely cause of a whiplash injury is from a car accident, Even more specificity a person who has been rear ended by another car is going to be the one who is most likely to suffer from a whiplash injury. If you were in a car accident and never checked out by a chiropractor, come in for a free consultation, adjustment and massage. Click Here for more information. 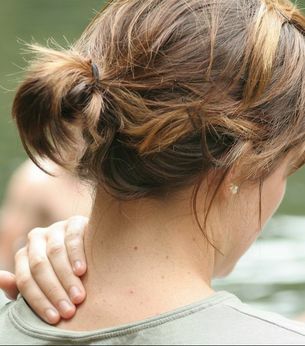 ​Do you suffer from neck pain and/ or back pain? When should i go to a chiropractor for neck pain? When should I go see a chiropractor for back pain? The answer for when you need to see a chiropractor for you back or your neck pain is going to be very similar. If the stiffness in you neck or stiffness in you back has not gone away in a day or two , meaning 24-48 hours, that would be a good indication that you should make an appointment to see a chiropractor. Back and neck pain can sometimes get worse depending on what the issue may be if it is not looked at and taken care of in a timely manor. We use different types of adjustment techniques here at Peak Chiropractic, making sure you are getting the best treatment for your stiff neck or injury. Neck and back pain treatment can be very simple or more complex depending on the root of the problem and the source of your pain. From waking up with a Kinked Neck to injuring yourself playing sports or having a back injury at work, we will get you feeling back to normal or even better in our South Ogden Chiropractic office. During Pregnancy the female body undergoes so many different changes, from hormones changing and effecting different aspects of the body, along with the physical changes the body goes through to nurture and grow the baby but also to get the body ready for birth. One of the most common complaints from pregnant chiropractic patients and well just pregnant women in general, lower back pain. Is there anything that can be done for lower back pain, and can you get adjusted while you are pregnant? Yes and Yes again. Chiropractic adjustments are safe while you are pregnant. Chiropractors use special pillows, adjustment tables and tools to ensure the safety of the baby while adjusting the mommy to be. Carrying around added wight will always take a tole on the body. carrying around extra weight that is pulling on your lower back will absolutely cause discomfort and pain. Prenatal chiropractic care in Ogden is one of our specialties. Please check out our full Prenatal Care page to learn more about the benefits of chiropractic care while pregnant. Chiropractic is not only for injured adults like many may think. There are a lot of preventative chiropractic practices that can help your child as they are growing. Ensuring proper spine alignment at a young age can ensure proper alignment through growth and as an adult. Proper pediatric chiropractic adjustments will also help to ensure a healthy nervous system as the spine protects the nervous system. Two of the other major reasons parents bring there children into the kids chiropractor is colic and ear infections. Chiropractic adjustment for babies can help the digestive system and help to reduce colic in your baby or prevent colic in your baby. Chiropractor for ear infections may seem a bit odd but proper alignment in the neck can ensure proper drainage in the ears, preventing those painful ear aches and ear infections. It seems that at one point or another everyone has had a headache that just wont go away. Although headaches may all seem the same there are different types of headaches and different causes for the types of headaches. Headaches can be caused from dehydration, low blood sugar, high blood pressure stress and even fatigue. The most common form of a headache is a tension headache. Tension Headaches can be caused by a variety of different ways but it all comes down to tension in the neck and spine. If you have a headache it is a 75% chance you have a tension headache. Chiropractic adjustment for headaches can be very effective in relieving the stress from the neck and back and relieving the headache. Sports chiropractic Ogden has been around for years however the popularity of sports chiropractic has increased with the increased sports activity within the community and the knowledge of sports chiropractic. What is sports chiropractic? A valid question, because some may think that adjusting an athlete is no different than adjusting a non athlete. Sports chiropractors or chiropractors for athletes not only adjust the skeletal system, they also specialize in the musculoskeletal system to prevent injuries and to take special care of any any injuries that may have already happened. Here are Peak chiropractic we are specialized in sports chiropractic and can help you with adjustments for prevention of injuries or help you to enhance you performance. Your body can do more for you and push harder when needed if it is taken care of properly. Athletes and active people all around are starting to see and experience not only the intimidate and short term benefits of chiropractic care, but also see the long term benefits as well. If you have a new or old sports injury come in ans see us at Peak Chiropractic, and feel the sports adjustment difference. Back pain can often be hard to determine the cause of the pain, however if the pain is sciatica meaning it is being caused by the sciatic nerve it should be fairly easy to determine. If your pain is Sciatica you will most likely have pain in the lower back and legs, tingling, numbness, and weakness. These symptoms will most likely start in the lower back and move to the legs. Sciatic pain can come on strong after an injury or may come on slowly over time. Chiropractic adjustments for Sciatic nerve pain works fast and can relive sciatic pain almost instantly in some cases. Why should I go see a chiropractor after a car accident? This is a question commonly asked and here are a few answers that will help you see that it is important to go see a chiropractor after an auto accident. Peak Chiropractic specializes in auto accident injuries in Ogden. The most important thing you can do is see a chiropractor after your car accident even if you do not think you are injured. Although you may feel fine now it can take up to days to feel the symptoms of whiplash, which involve headaches and neck pain. Auto injury chiropractic immediately after the car accident can help reduce any long term side effects from a car accident and can help to reduce inflammation that may occur. Chiropractic care is a safe, natural and non invasive way to care for your body and make sure everything is aligned and working properly. There are so many amazing benefits to getting a massage that go way beyond it just feels good. Peak Chiropractic offers massage in Ogden to fit any of your massage needs. From deep tissue massage, Swedish massage, sports massage and hot stone massage we have you covered. Our massage therapists are trained in different techniques to get you the results you are looking for in your massage. Weather you need to just wind down , relax and get rid of some stress and built up tension. Or maybe you are looking for a deep tissue or sports massage to help recover your muscles from an intense workout or an injury. Check out our massage page for a full list of massages offered and the benefits of massage therapy in Ogden.